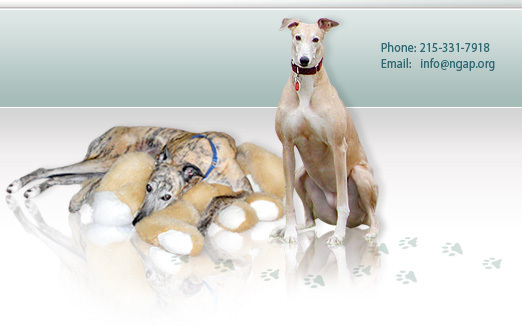 David Wolf, Director of National Greyhound Adoption Program, has been in communication with the National Greyhound Association in an effort to get them to take a position regarding greyhounds being used as blood donors. 20 years ago, when we first started to receive greyhounds, most of them came by air. But as airlines prices rose and more efforts were put towards saving these wonderful animals, trucks began bringing the dogs to us. In the beginning, these trucks were often racing-industry associated. You would always know when one was in our compound because the smell was just horrible. The greyhound has been in existence for over 4,000 years as a pet and a hunter. They are gentle by nature and have always had a strong relationship with humans. To run is a greyhoundâ€™s basic instinct. Their sleek body, long legs, flexible spine and thin skin make them very aerodynamic. 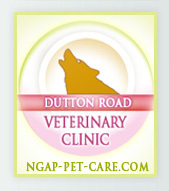 The contents below were taken in part from the report published by Gary Guccione of the National Greyhound Council and American Greyhound Council at the 25th Annual International Canine Sports Medicine Symposium held in January 2009. My first experience with greyhound racing was in late 1989 when I took my first greyhound away from a racing compound to find it a new home. I knew very little about the industry at that time, but now, almost 20 years and 7000 adoptions later, I have learned a great deal. 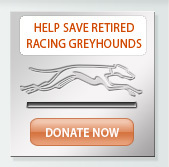 In America, greyhounds are born to run and to make money for a dog owner, a kennel operator and a track owner.